This is yet another one of those blog posts that took soooo long to come out! December is indeed my "clean up backlog" month. And so for today I have this review for what could possibly be Maybelline's most electrifying release yet. But as far as this year is concerned, this is the runaway winner for most elecrifying lip release. 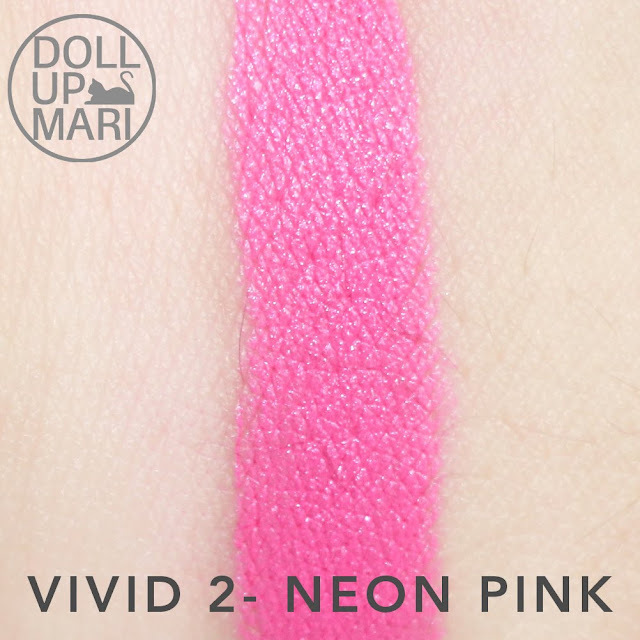 So as not to confuse everyone, I am calling this the core release for Vivid Matte Lipstick becauuuse there is Vivid Matte liquid lipstick and there is a new Vivid Matte lipstick release as for Q4 this year. And all of them are potentially going to be on this blog (I already have Vivid Matte liquid lipstick here). So to save you all from the confusion, do know that Maybelline has three lippie collections called "Vivid Matte", and this is one of them. For this release, there are 4 shades, and I own 3 of them. 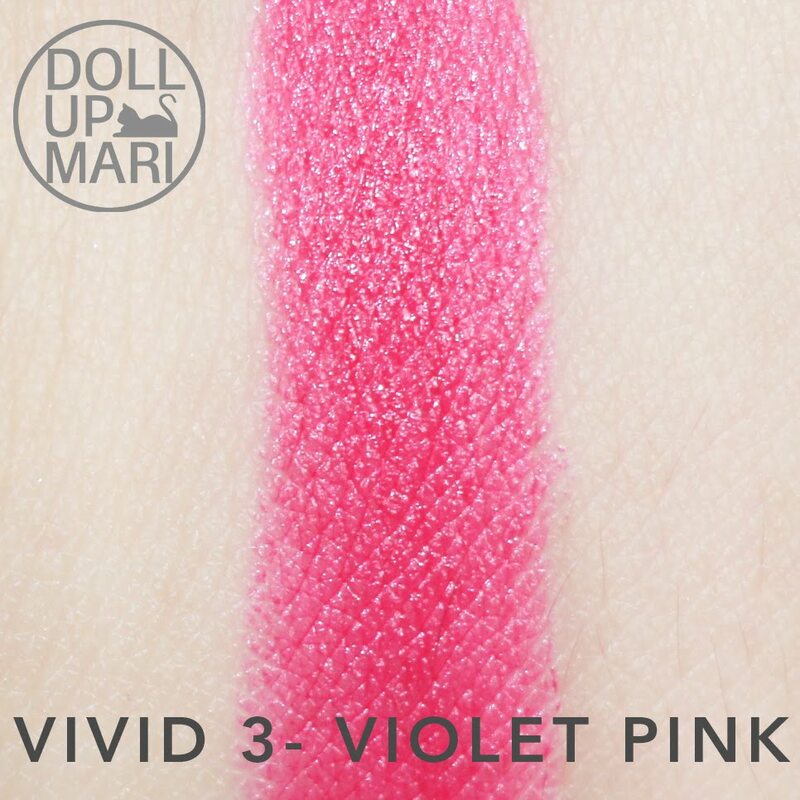 The only one I don't own is Rosy Orange or Vivid 4. So this is how they look like fresh off the factory/store/I don't know where these lipsticks went before coming to my house. This, for me, by far, is the sexiest packaging Maybelline has done. Black tube with red cap= total sophistication. For those who are conscious over ingredients, here you go. Amusingly, this has honey... Though it doesn't smell like it. It's mostly unscented save for the people who are so sensitive to smell and will characterize this as having a "lipstick smell"
Shade Selection: This has only four shades, but for the collection's theme the four shades are already enough. There's an orange, red, hot pink, and purplish entry so I think those are already all the shocking shades a person would want to own. Color Payoff: CRAZY color payoff. HOMAYGASH HOMAYGULAY MY PAMILY. 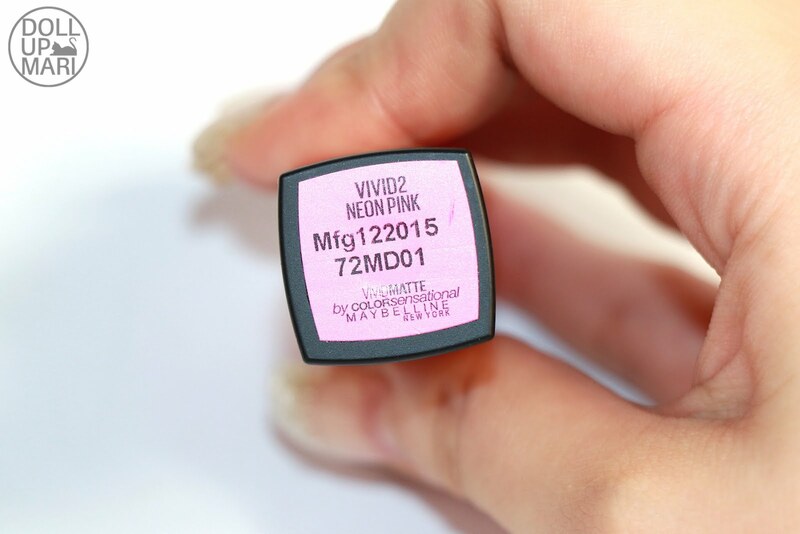 The craziest color payoff in any product I've reviewed this year. These are sooo electrifying that you will really feel what is close to an electric shock when you try these for the first time. 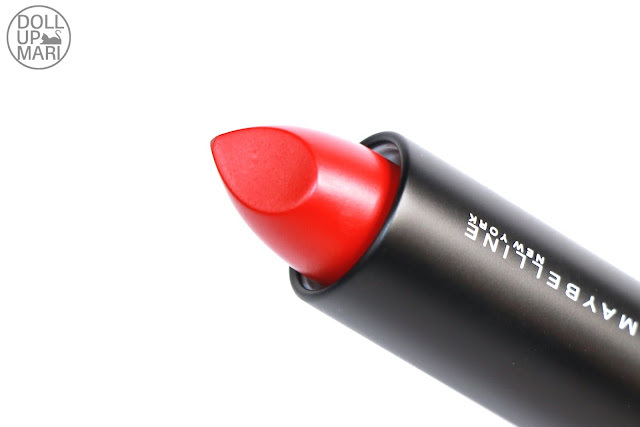 If you ask me, these are the kinds of lipsticks that should be worn by legal wives who are about to take back their husbands from the mistresses. What you see on the tube is what you get, and the colors scream out "slay my queen" and "yaaaaaas." 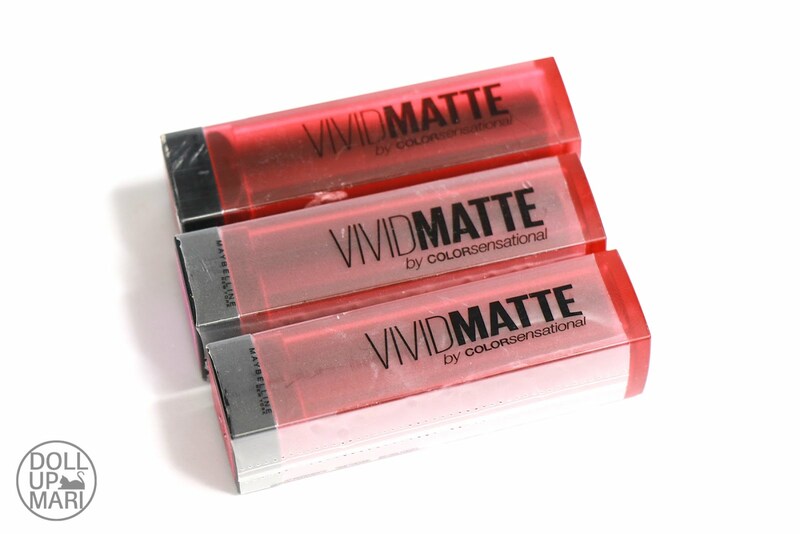 Pigmentation: These go on very opaquely, and the formula is really all about high intensity and high definition. The intensity of this formula is not for the weak, I must warn. This is the exact opposite of subtle. 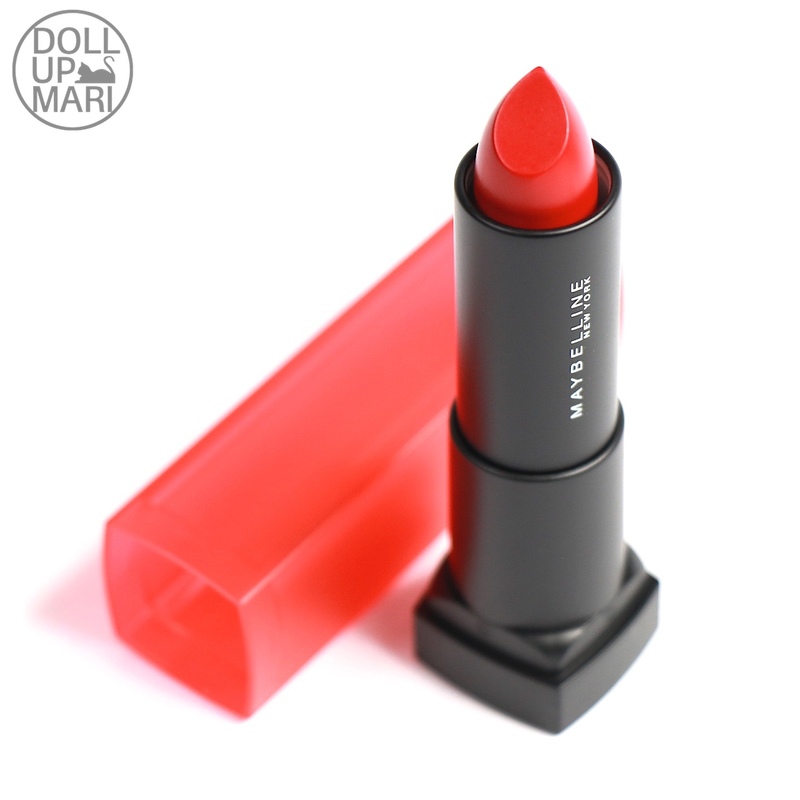 Texture: Like most Maybelline releases as of late, this has a creamy texture with a slight powdery feel to it in order to keep it matte. But in general it glides on, it still isn't powdery enough to like skid while one is applying it. 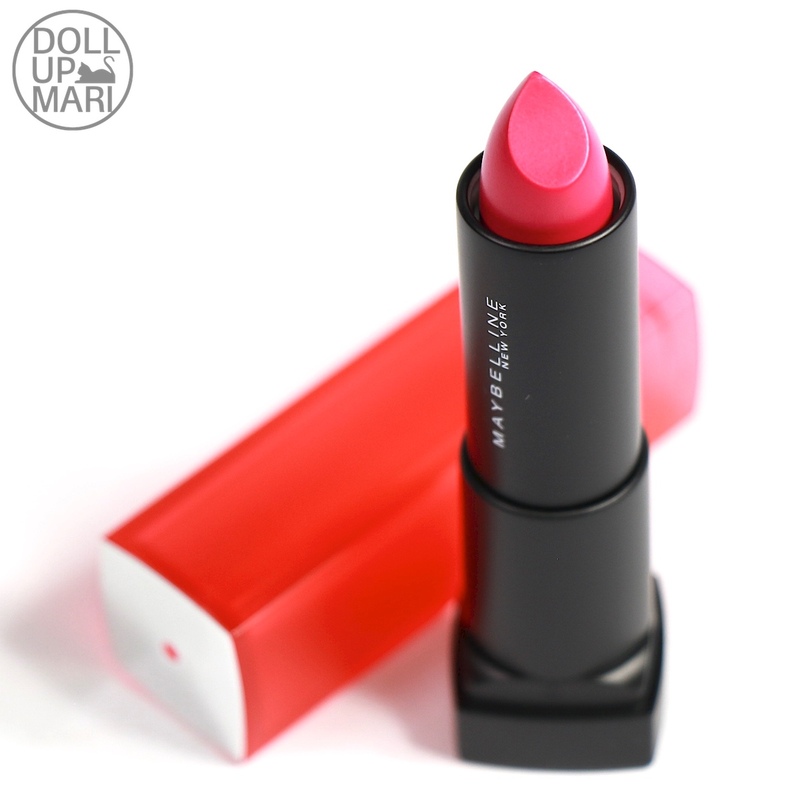 Unlike Bold Mattes (which boasts a no powder formula), this has a bit of a powdery feel. But nothing bothersome per se, just the usual creamy and buttery Maybelline lipsticks we know of. As for the matte part, this isn't 100% matte, more so when flash photography is involved, but it's rich and luxurious in feel. 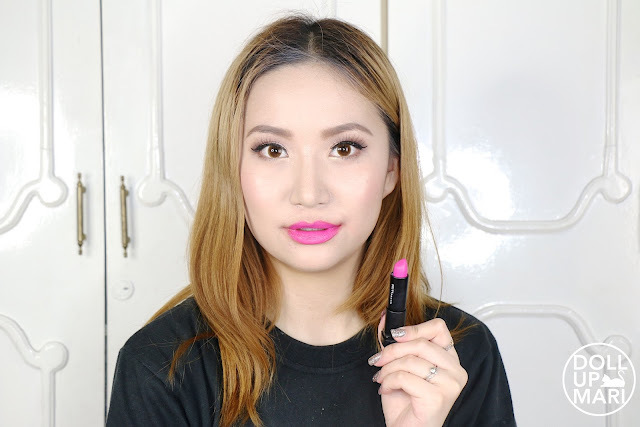 Comfort: Maybelline has been very good in the comfort department this year and this feels really comfy. Of course Lip Flush and Baby Lips will be more comfortable choices, but for lipstick, this already counts as comfy. 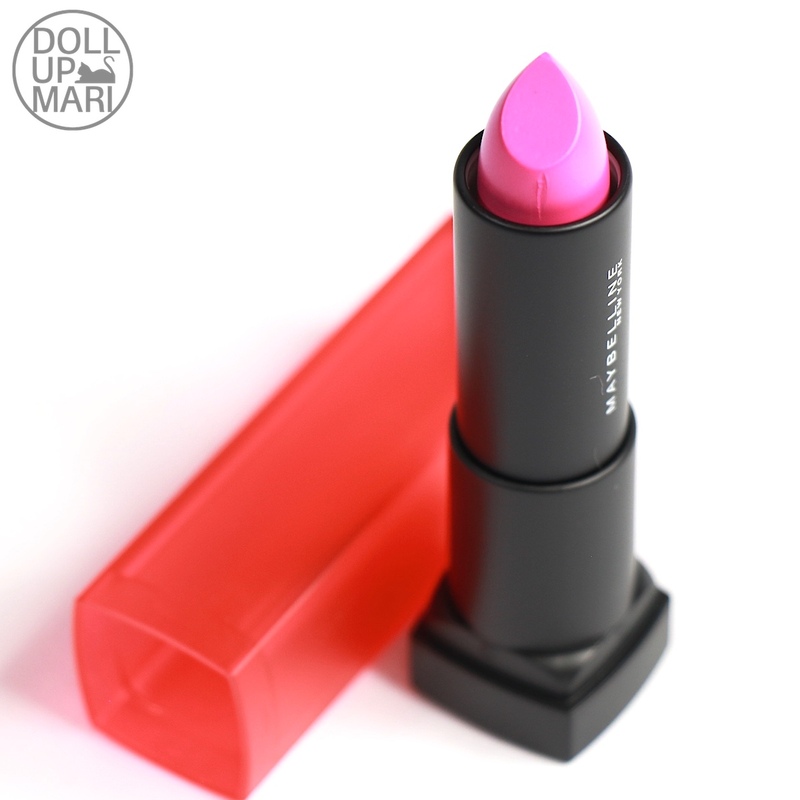 Despite being matte it feels emollient and nourishing. 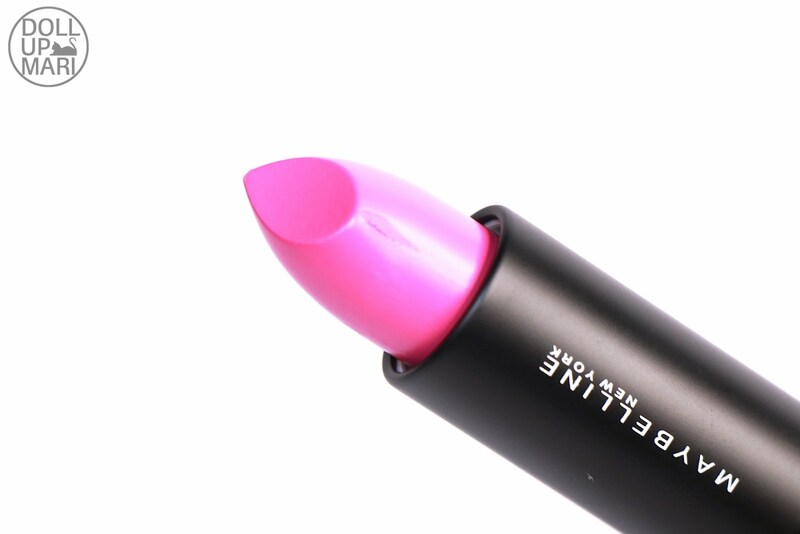 There is no "cement-like" feeling to this, and lips don't feel like they're being "pulled taut" by this product. It's generally buttery. 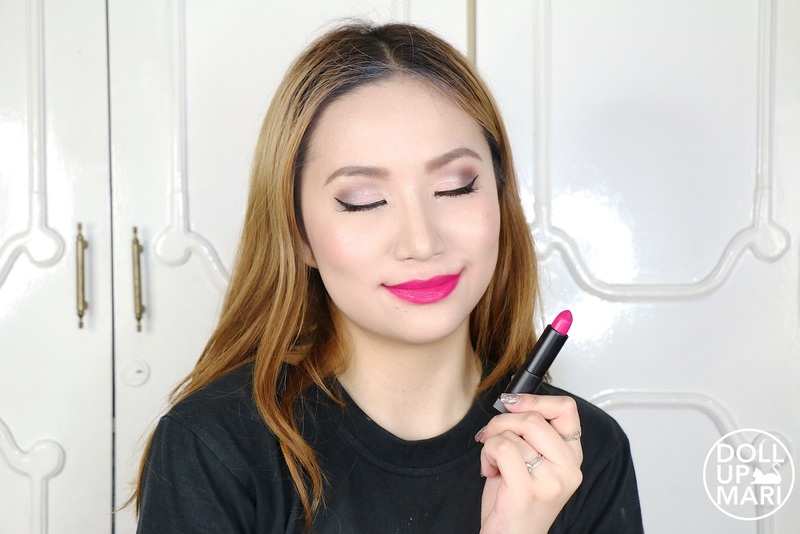 Longevity: Maybelline lipsticks, in general, as I've learned, lean more on the comfy side of the spectrum so they don't last as long on the lips as one would expect. This, like most of Maybelline's other newer releases, doesn't last very long. Expect it to stay moist for 2-4 hours depending on one's activities. But tint wise this is craaazy. 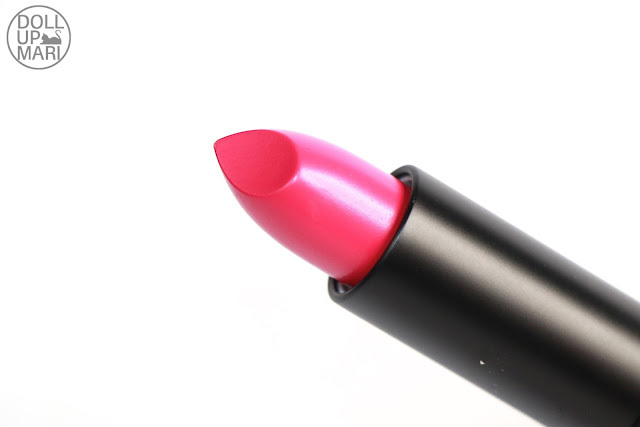 You can wear this in the morning and no one will know you don't have lipstick on anymore in the late afternoon because the way this leaves a tint, it's as if you have lipstick on. There have been several instances wherein my mother thought I woke up with lipstick because when I was testing this I'd wear this before I sleep and see what happens. I wake up to vividly red lips that no one can ever tell that the product is already dried up. 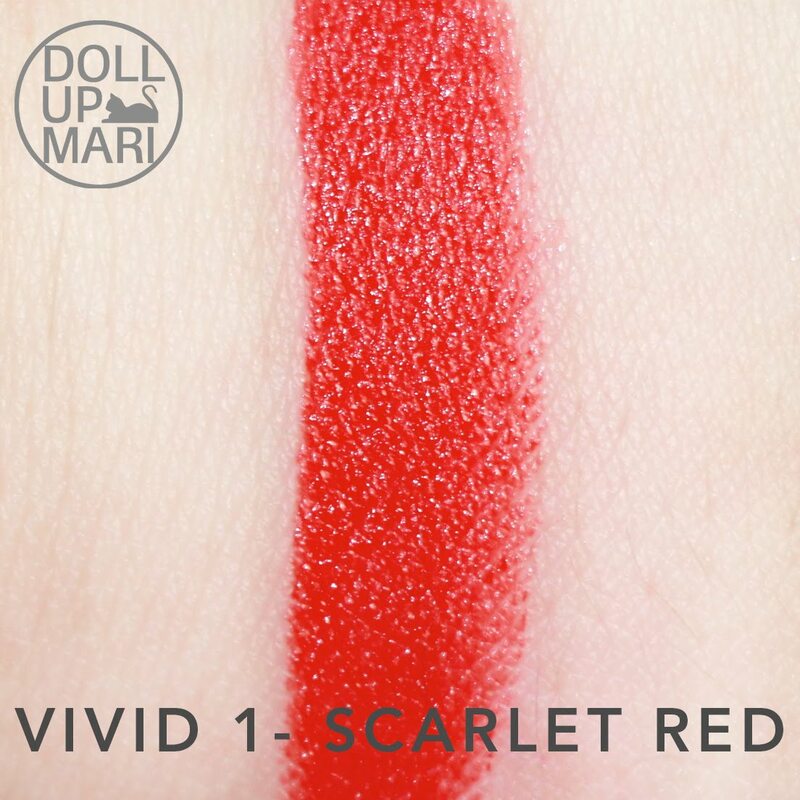 Value For Money: This is exceptionally very vivid, so I personally recommend the red one in this collection as I personally think it's the best red in all of Maybelline's reds. Mat 11 is nice from the Vivid Matte liquid lipstick collection, but this collection's red really just has an allure to it. As for the other shades, I'd say they're OK. 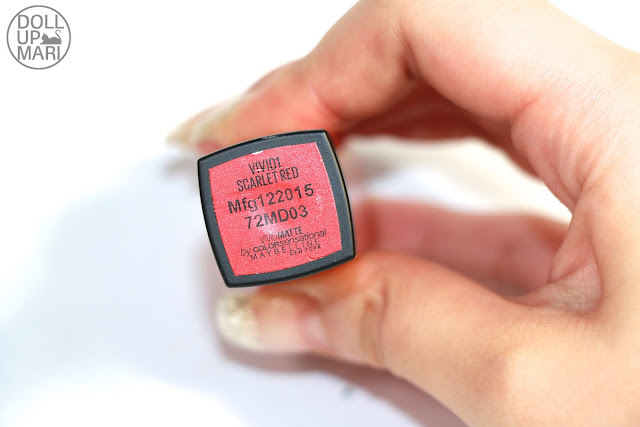 Since Maybelline is on the affordable spectrum in general, there's not much to lose with the other shades as they're nice and affordable anyways. 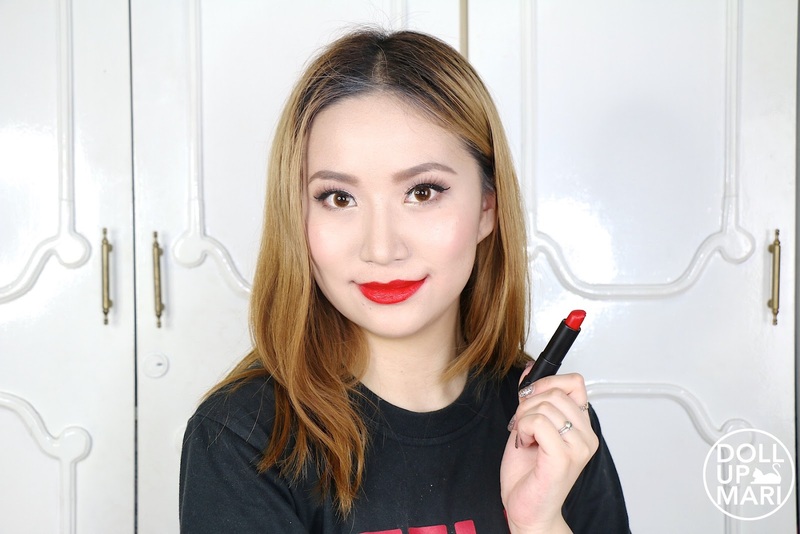 Overall Feedback: If you need lipsticks for days when you feel like you want to conquer the world, be sure to pick something up from this collection. 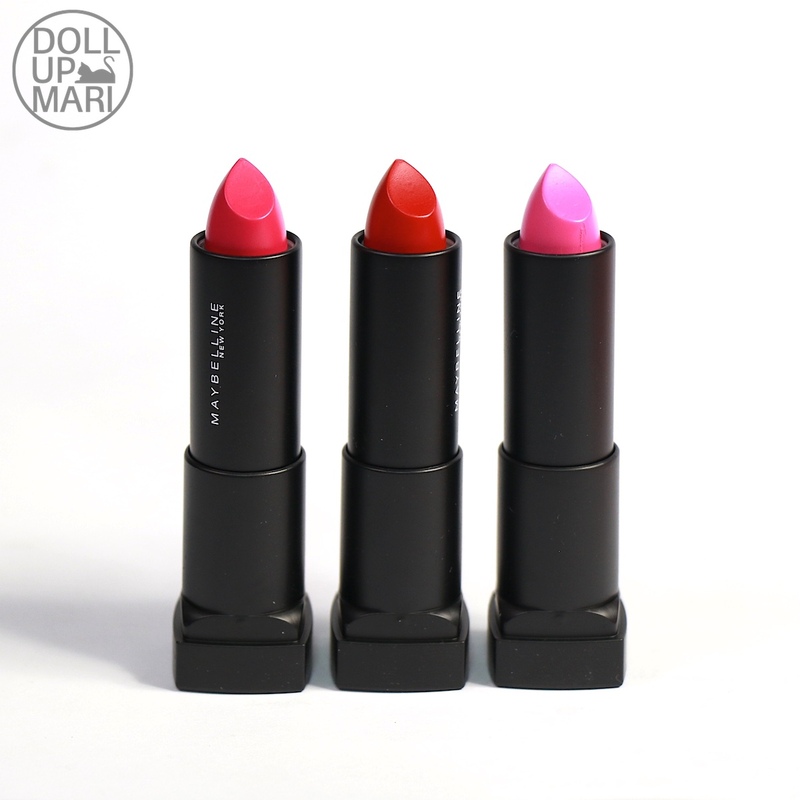 My personality generally doesn't suit this collection as you dolls always know that I reach out for something from the Rosy Matte collection for my daily needs. I personally do not wear shades this intense. But judging this collection, all I have are praises for the intensity of the colors. The vivacity of the shades are to be admired. 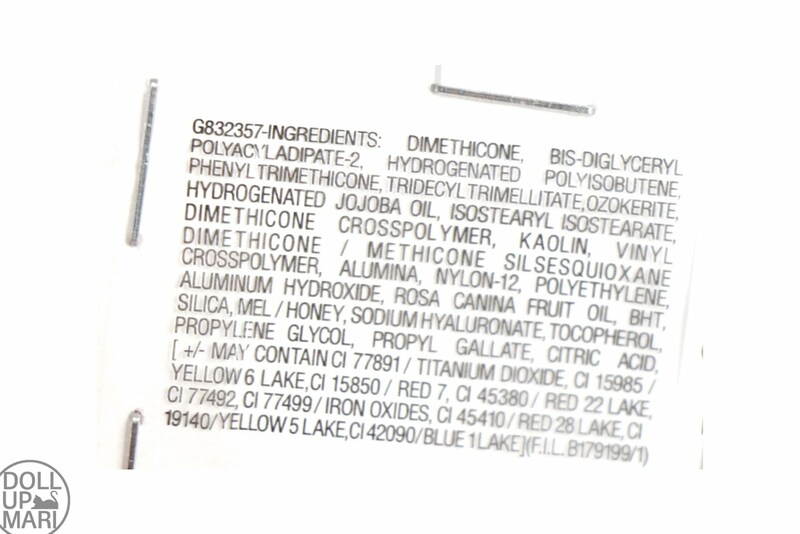 I like to mix this with my muted shades to make them cheerier for daily use. Overall, for those who are looking for the intensity, this collection is great. So yaaaay, let's get on with the shades!!! I swear this is the perfect lipstick to wear when confronting your husband's mistress. It's that kind of sassy and sophisticated. It is so powerful of a shade that this is perhaps the most powerful shade I've come across this 2016. 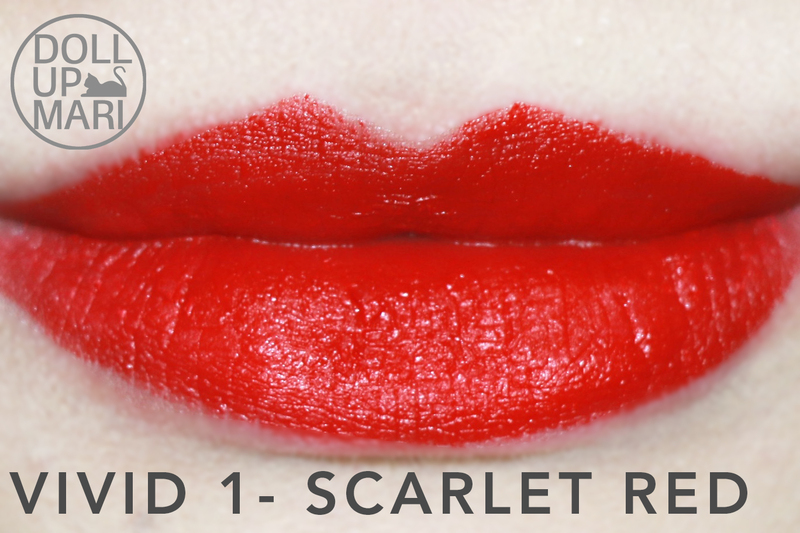 This is a red with a bluish undertone, but with just the right amount of undertone, as too much blue tames it. 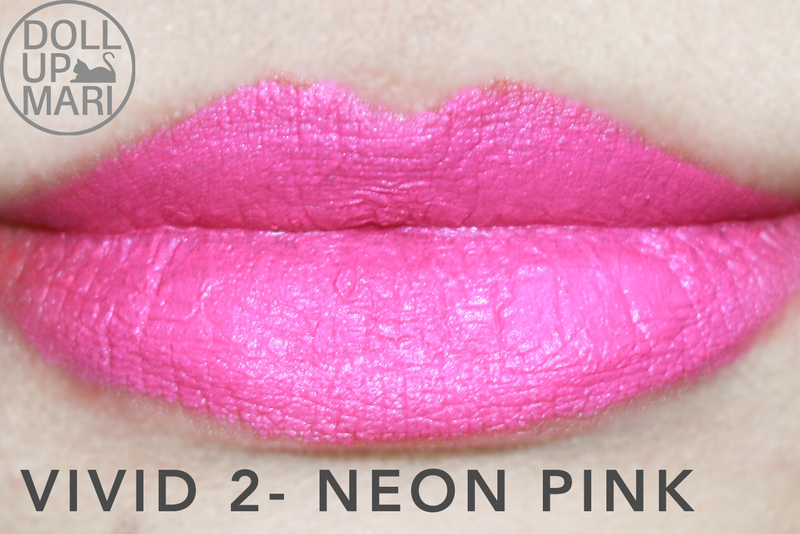 This is a very neon kind of orchid pink. This will really bring up thoughts of bubblegum and cotton candy. 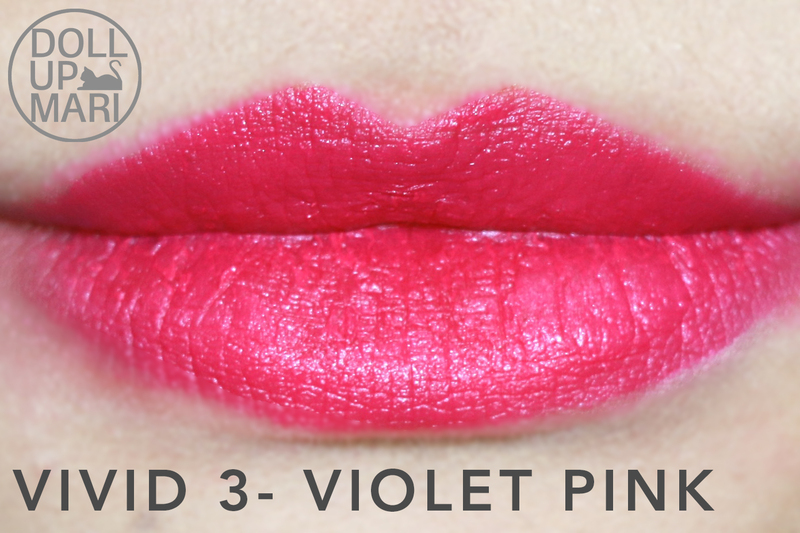 This is a cool pink with a touch of purple, not the other way around. 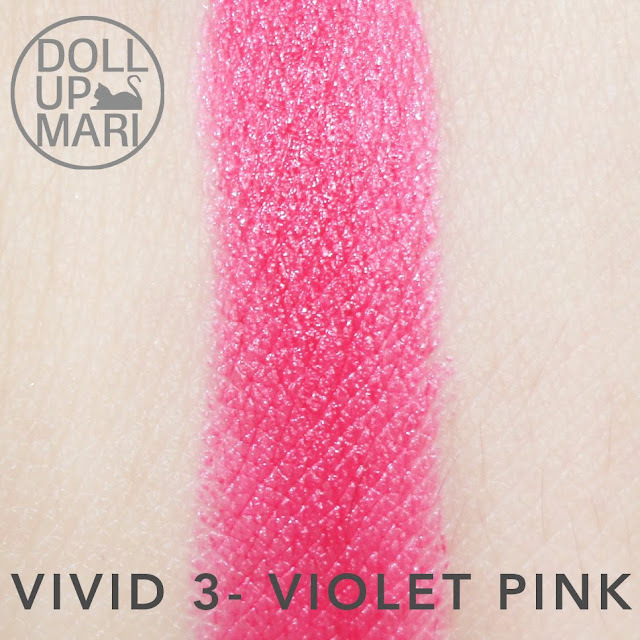 I have no idea why this got called Violet Pink when it's Vivid 2 that's more purple. 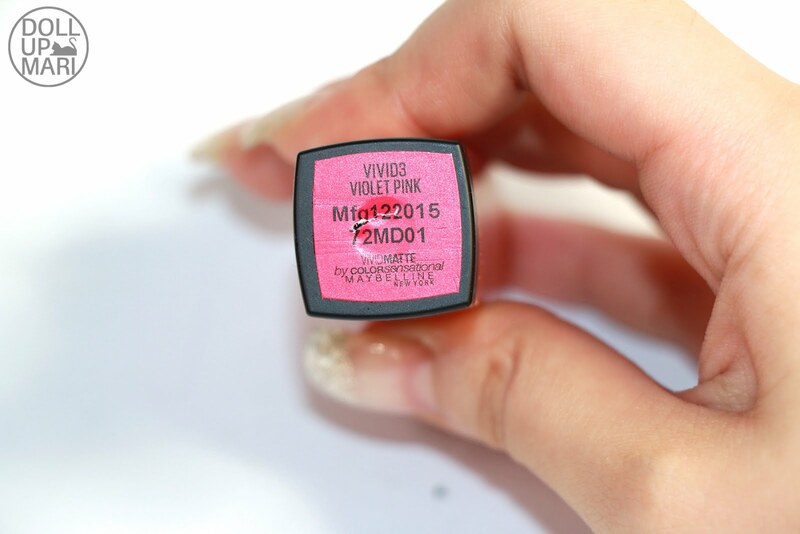 I am guessing that since there are other shades in the Maybelline lip family that carry the name fuchsia that they decided to call this "violet pink" in order to not confuse it with the others. But yeah, basically, this is fuchsia. It's cheery pink with a touch of purple, not the other way around. This retails for Php299, but if this is also part of Maybelline's crazy sale, you can get this for Php200 till December 31, 2016.